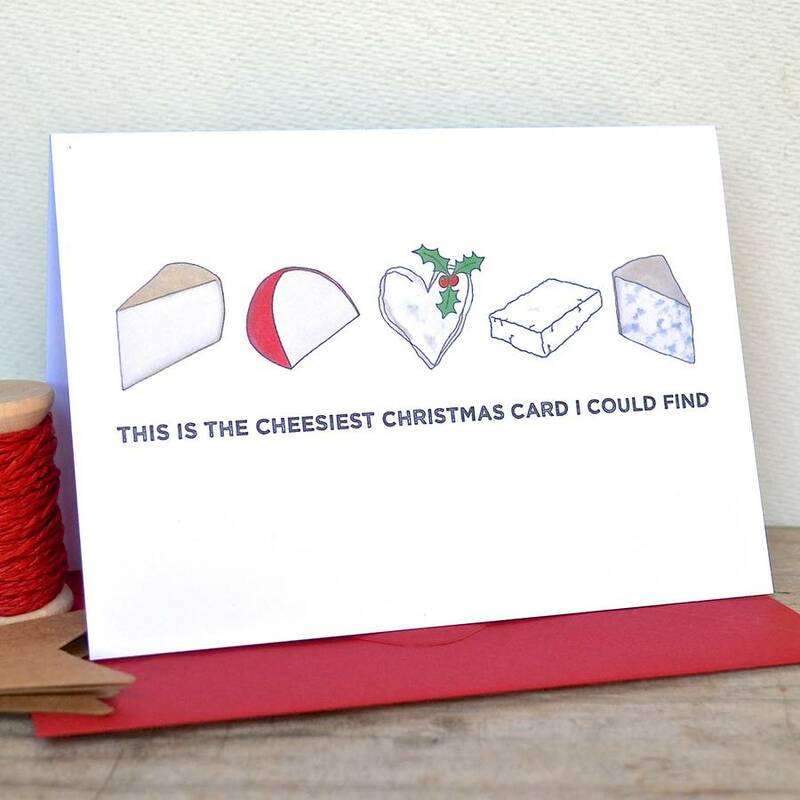 Without a doubt, the cheesiest Christmas card you will ever find! 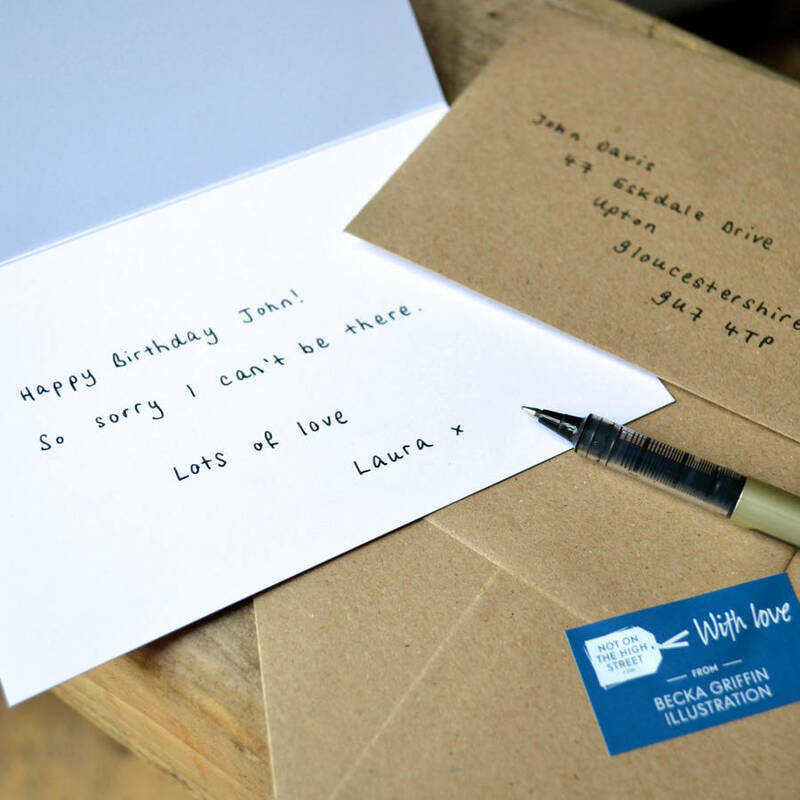 This card is a simple, unfussy card. 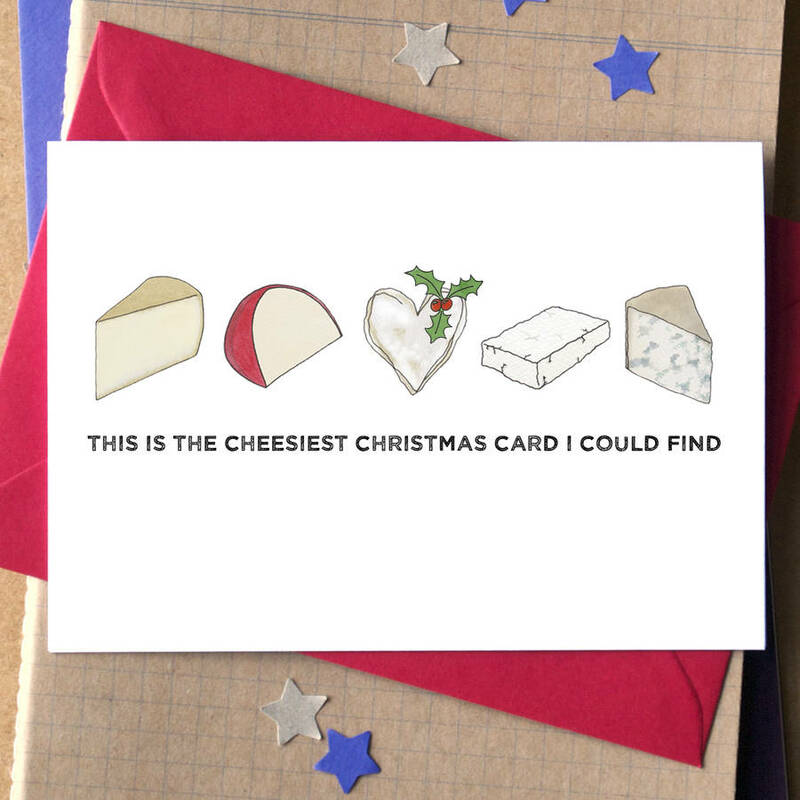 It features five little drawings of cheeses - a wedge of urgelia, a Dutch edam, a heart-shaped neufchatel (adorned with a sprig of festive holly), feta and some blue stilton. It would be great for anyone who likes cheese (the food), but isn't fussed on 'cheesy' sentiments! It's blank inside for your very own cheesy message. 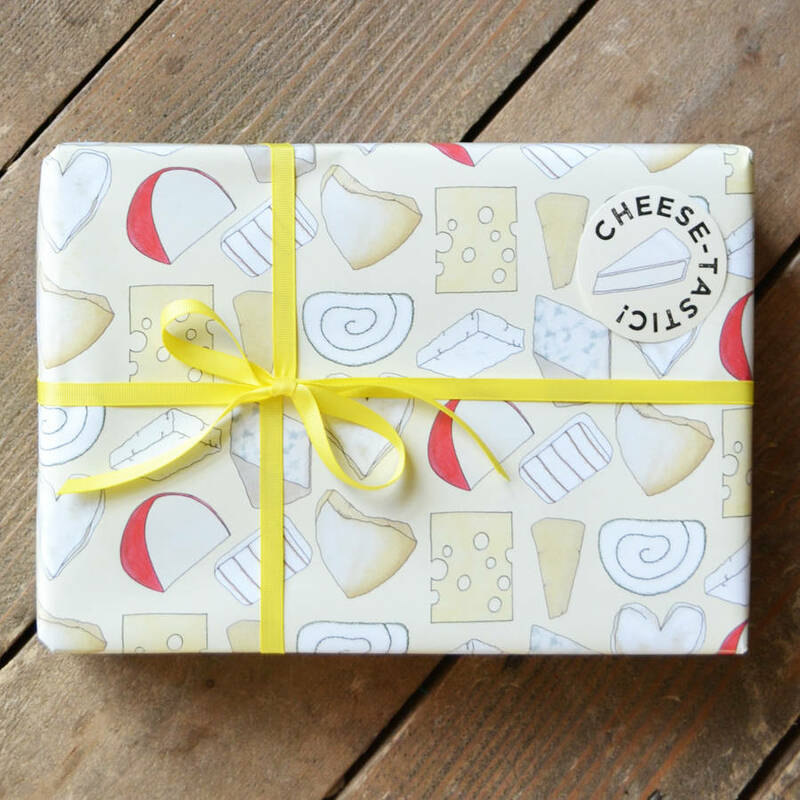 Co-ordinating cheesy giftwrap is also available - and listed separately is the Alphabet of Cheese as a mug, a print and a notebook. Packs of blank cards are also available. 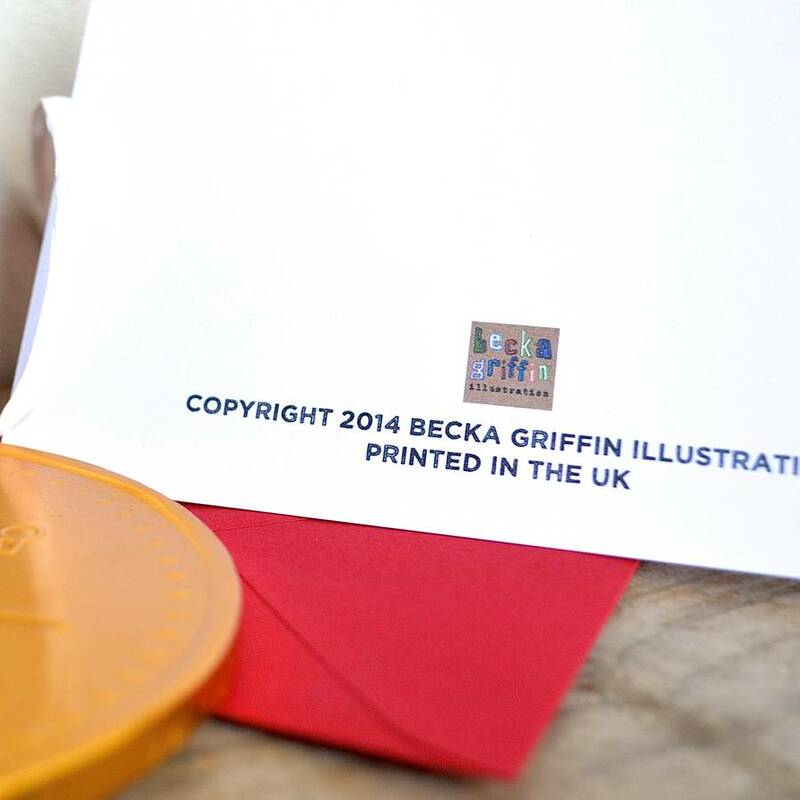 The card is printed on a crisp white satin finish card, and packaged in cellophane, along with a lovely red envelope.